Today F2p.com is teaming up with Leekol to offer you this exclusive free Newbie Packs giveaway for their free-to-play browser game: Seven Seas Saga. Step 1. Never miss a giveaway by following us on Facebook, Instagram and Twitter. Step 2. Add your email to the field above (next to the “Get Your Key” button), you can only sign up once for this giveaway. If is the first time you use our system please check your email to validate it and add again the same mail in the field above. Step 3. 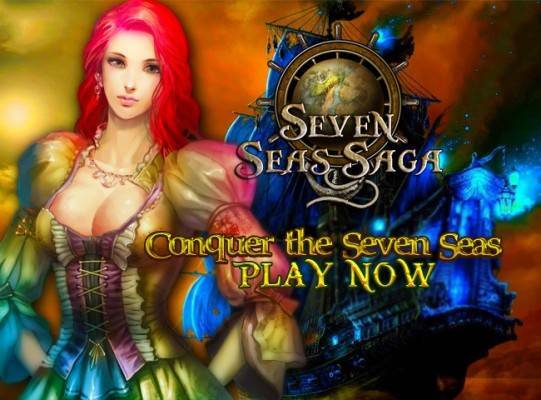 Login or create an account on Seven Seas Saga and enter to the game. Step 4. Locate “Periodic” at the bottom right of screen. Step 5. On the Periodic window, click “Opening Events”. Step 6. Click “Welfare” tab. Step 7. Paste the newbie code and click “Claim”, system will notify you in chat that you have successfully claimed the newbie pack. Step 8. Rewards can be located by clicking Ship, captain and crew info, hotkey [B]. Note: Codes can be used only on lekool Seven Seas Saga and only once for each account.